Is your “Xbox One gaming console” is broke or lost?. then you don’t need to worry about, playing your Favorite games. Because with the help of some “Xbox one emulator” you can play, Xbox One or Xbox 360 games on PC. Nowadays, you don’t even need to buy a new console, if you have Computer with the Latest specification. Because, There is emulator available for almost, every new and old gaming console. These days you can run Android Apps on PC and, Vice versa you can run Windows Program on Android. What is Xbox emulator for PC?. 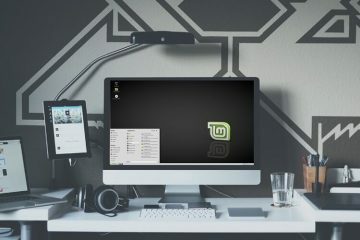 Emulators can be hardware or software, that create the virtual environment of other computer systems. Virtual environment behaves like the real Computing system So that you can run other system’s Apps and games. Emulator basically enables your computer system, to run software created for the guest system. With “Xbox emulator” you can do the same, you can run games created for Xbox One in Windows. Apart from Xbox One, there are many emulators available which you can install on Windows PC. 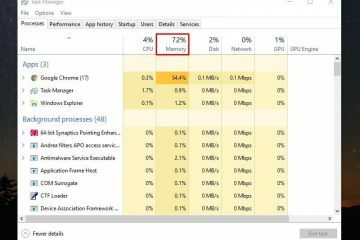 Is using Xbox One Emulator illegal?. According to the Microsoft software license agreement, you can only use Authorized Games. So, If you’re going to use pirated or crack games then you’re violating, their software license Terms. And one more thing written in software license terms, that is you can only use Authorized accessory by Microsoft. If you will use unauthorized accessory to play Xbox games then it will stop working after the update. As I mentioned above according to their license terms, it’s illegal to use Xbox Games using Unauthorized accessories. But technically, you aren’t using any unauthorized accessories, you’re just using a software program or emulator. Do search for Xbox One Games on Windows Store. Most of the games which Xbox One gaming console offers are cross-platform. So, you can easily find out those Games in the Windows store. That’s why you don’t need Xbox 1 emulator. But still, If you’re unable to find out any specific game for Windows, which is only available for Xbox One or 360. 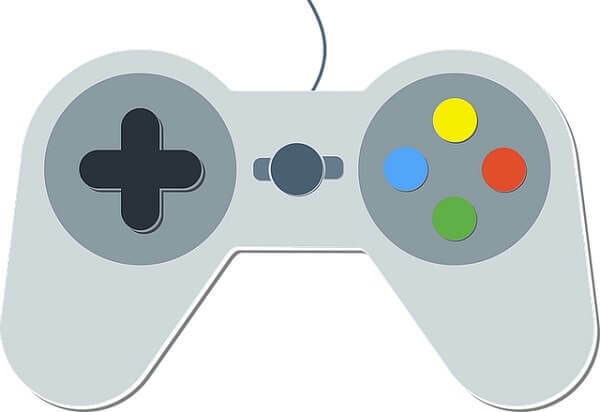 Only then you should try these emulators on your Windows Computer. 1 Best Xbox one emulator for PC. 1.2 Xbox emulator version 1.0.3. 1.7 Conclusion: Xbox One Emulator for PC. Best Xbox one emulator for PC. There are many emulator sites that claim to provide, best Xbox 360 or Xbox 1 emulator for PC. Though personally, I tried to Download and Install all Xbox 1 emulator. But unfortunately, some of them are fake and try to install malware on our Computer. Xbox emulation requires lot’s of power and a good GPU to handle Xbox games. Is there an Xbox emulator for PC? Currently, There isn’t any legit Xbox emulator Available for PC. But two emulator that I found is in development state and claims to run a few Xbox one games. There is a video also available on YouTube for one emulator, you can Watch if you want. Xeon is good but not perfect emulator available for the Xbox platform. This emulator is working but can run only one commercial game, which is Halo NTSC version. Although, you can try to play other low graphics games. Currently, Xeon is in development state, so you can expect more game to run in this Xbox One Emulator. With Xeon settings, you can configure graphics, audio, and input. You can easily access these three settings by going into the options menu. Xeon is the portable emulator, you don’t need to go through the typical installation process. All you need is the file extraction tool to extract software, and then you can launch the emulator. System Requirements for Xeon Emulator. Radon 9200 Pro / GeForce FX or higher Graphics Card. The latest version of DirectX. Play Xbox One Games with Xeon Emulator. Step: 1 First, Download Xeon emulator on your windows computer. And, don’t forget to download the Xbox Game ROM File. Step: 2 Now, Extract Xeon emulator RAR file. 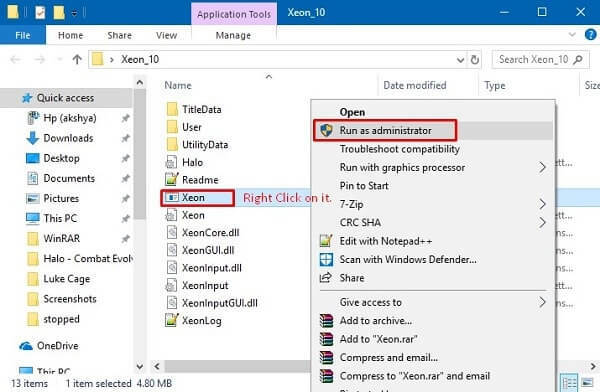 – Open Extracted Xeon emulator folder, And then run Xeon application as administrator. Locate the game ROM folder and look for .xbe extension file to run Game. Select .xbe file of the downloaded game, and then click on open to run Game. 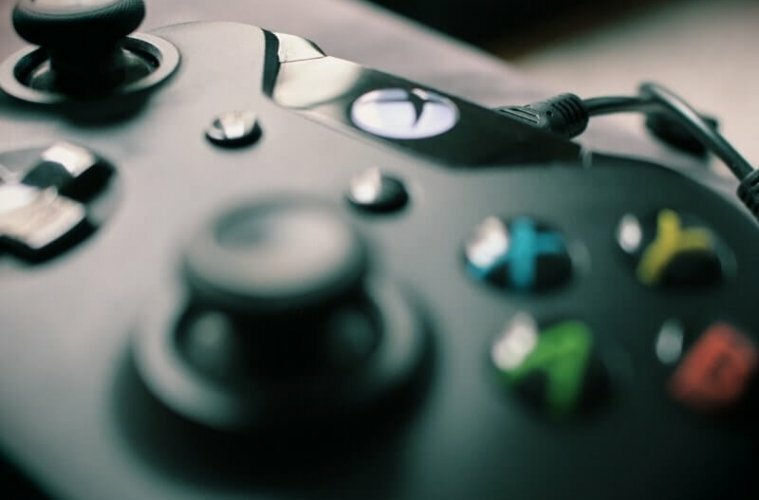 Before start telling you about this Xbox One emulator, First thing you need to know is to download this emulator you need to complete a survey. A YouTube video available of this emulator, that’s why I am adding this emulator in this list. Unfortunately, I was unable to download the emulator file. But if you need you can contact emulator developer directly. According to the download page, this emulator can run heavy games without any error. It comes with full ROM and disc support, So you can use the physical game disc or can use downloaded ROM file. Comes with flexible control support, either you can use the keyboard or can use any gaming controller. The software also claims to provide split-screen mode. And you can use Xbox live features also. Free 25 GB of hard disk space. Radeon HD 5400 / GeForce 9300 or higher. Few Instructions to Run Xbox 1 Games. Step: 2 Go to the game folder and then run the application “Xbox Emu v1.0.3”. 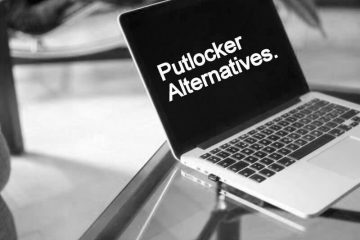 – Click on the plugin and then activate all available plugins. – If you want to set controls, you can do that by going into Controls settings. Step: 3 To open Game ROM file go to File> Refresh ROM list. (This option will show all recently added Games) And to run Games you can use Open ROM option. Done, That’s how you can Play Xbox One Games on PC. Though this emulator I didn’t try personally but still, this information might be useful for you. 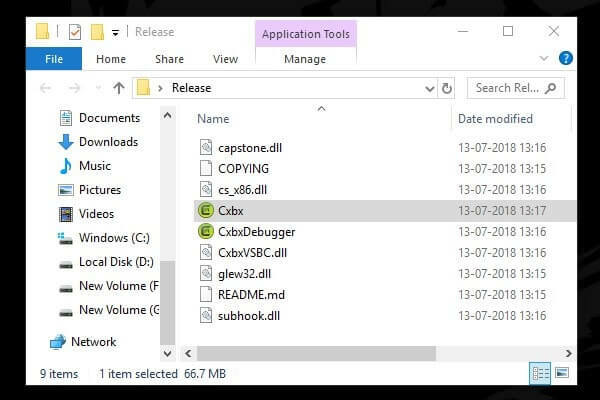 CXBX is another working Xbox One emulator for Windows. The emulator file size is 1.27 MB. But, after extracting the CXBX emulator size will be 68.6 MB. Means, developers are using extreme compression. The best part is, it is the open – source emulator. Emulator codes are available on Git-hub to download. Stable and development build of CXBX both are available. But, I suggest downloading a stable build only. Because with the development version you might face some issue. While other Xbox one emulators aren’t getting an update. This emulator is getting better with monthly updates. Developers are trying hard to make this emulator work with all Xbox Games. Though, I tried three “Sega Chihiro games”, but worked only one Game. 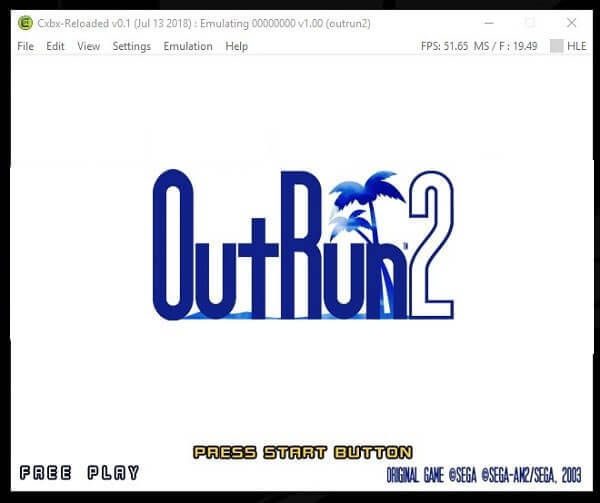 Yes, I was able to run “Outrun 2” with CXBX Xbox Emulator. This emulator is better than Xeon emulator. Because it can run more Xbox Games. The emulator also shows Frames per Second. And, you can configure Xbox one controller and audio, video settings. You can also disable Pixel Shaders. And, can skip RDTSC patching. System Requirements for Cxbx – Reloaded. 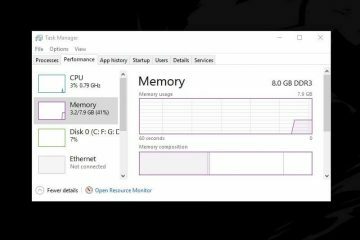 2 GB of RAM for the better gaming experience. Any GPU that does supports Direct 3D 8 and Open-GL 3.3. Run Xbox One Games using Cxbx Emulator. 1. Download latest Zip file of Cxbx Emulator. 4. Now, In the emulator, click on File > Open Xbe. Select *.xbe file from the game folder, click on Open. Note: Before start running the game, you can go to settings. And, can configure Xbox Controller keys, audio, video, and other settings. 5. To start the Xbox One Game, click on Emulation and then “start”. That’s it. Now you can play your Xbox One Emulator Games on Windows PC. 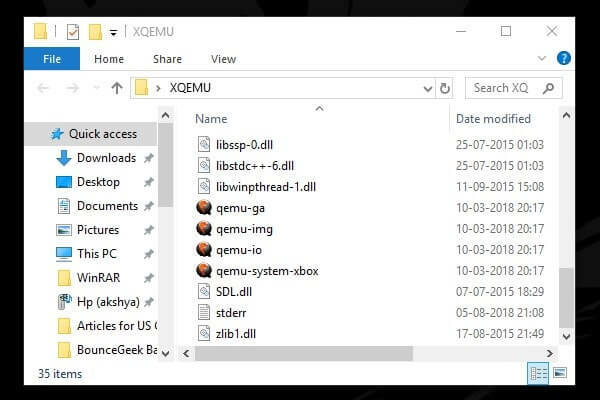 Before you search and download DXBX emulator. You need to know that, developers of this emulator left this project. Means, they aren’t working on this emulator. So, the emulator stuck in development mode. Though, you can still download this emulator and can give it try. On the official site of DXBX, the developer already mentioned a compatibility list. With that list, you can find out, which game will work, and which not. Although, I have already tried some Games. But, after clicking on the play button. The game does show a black screen, and nothing happened after that. DXBX is Xbox One Emulator for PC, that is written in Delphi. The emulator has its own kernel a do offers toolchain. Dxbx emulator is created with the source code of Cxbx emulator. Developers converted C language sources to Delphi. And, added some more options. But, the file menu of both emulators is somehow the same. 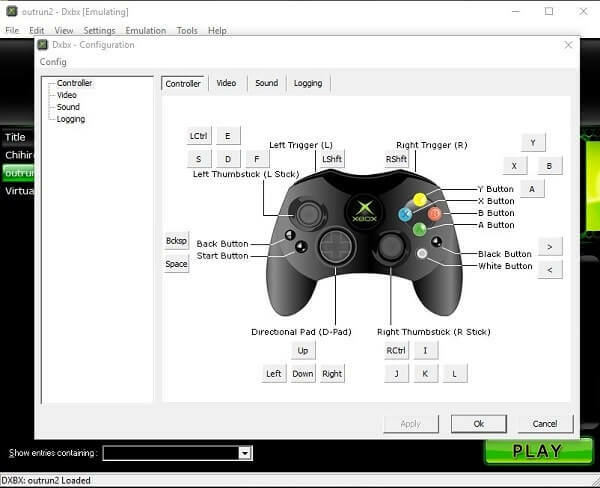 Dxbx offers the same configuration settings for Xbox controller keys, audio, and video. Though, the user interface is different. Once you load an Xbox one game, the emulator does show directory on the home screen. And, you can select the game directory and click on the Play button. System Requirements – As I have mentioned this emulator is based on Cxbx. So, system requirements also same. Play Xbox 1 Game using Dxbx. 1. Download Dxbx Emulator setup files from the official site of it. 3. When installation gets complete, open emulator as administrator. 4. 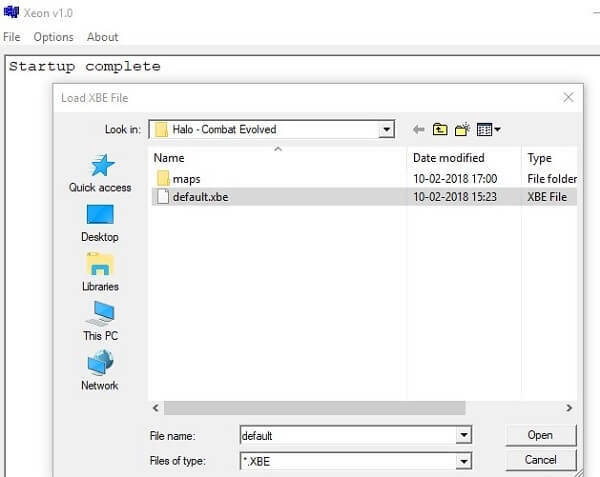 To load any Xbox 1 Game, Go to File > Open Xbe. 5. 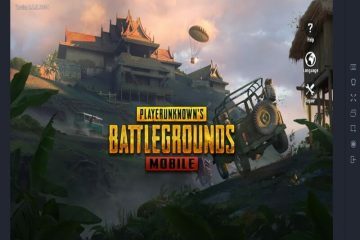 Now, you will get the option to play the Game, Click on it. It is an open-source emulator, which is built on the top of QEMU. This Xbox One Emulator is currently in the early stage of development. But, development isn’t dead like Dxbx, developers are still working on it. Currently, XQEMU has some audio issues and it works slow. XQEMU is better than all mentioned emulators. Because it can run Halo, Jet Set Radio Future, Serious Sam and many other Games. But, you need to build this emulator by yourself using MSYS2. Though, the building process already mentioned on the official site of it. But, it’s a little bit complicated for normal Windows user. If you want a full tutorial on building this emulator, feel free to Comment. Or, I will try to provide the download link of the emulator build by me. So, these were the emulator for Xbox One. And, If you’re also looking for some emulator to play Xbox 360 Games on your PC. Then, you can try Xenia and ex360e emulator. Xenia emulator is under development but allows to play some basic Games. On the other side, there is only source code available for ex360e. Means, you need to develop emulator by yourself. If you don’t know, how to do that. Check some videos on YouTube to understand better. I have written a separate article on Xbox 360 Emulator. In that article, you can find all the information about these emulators. Conclusion: Xbox One Emulator for PC. Still, there are many Xbox 1 Emulator left to add in this list. But, those projects are dead, and some doesn’t work. These are the only active Emulators, which are still in development. Xeon was the first emulator to run Xbox One Game, Halo. But, Cxdx is able to play some more games like “Sega Chihiro games”. So, you can try it. Or, if you have good Computer knowledge. Then, XQEMU is the best emulator for you. That’s it for now. I will try to update this list, whenever any new emulator gets released. Also, please comment if you’re able to play any Game with these Emulators. Previous ArticleDisplay Ping in Apex Legends PC, Display FPS in Game. Next ArticleBest Xbox 360 Emulator for PC, How to Play Xbox 360 Games on PC. 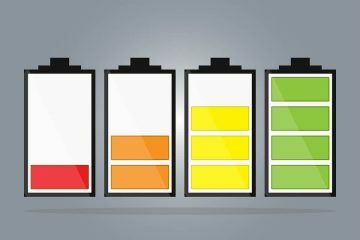 Best Battery Saver App – Hibernate background running Apps.